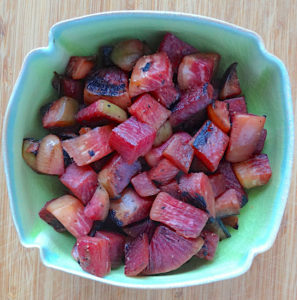 One of the tastiest winter vegetable dishes I make is also one of the easiest. 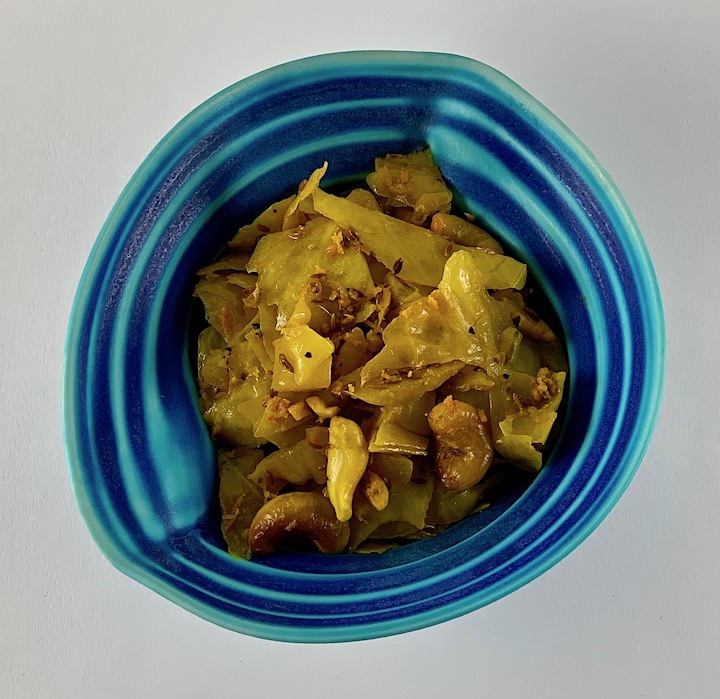 It is a simple sauté of a handful of nuts with spices and chopped cabbage but the total flavor is much richer than its individual components. 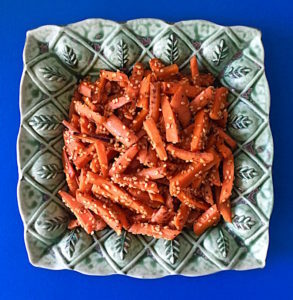 This recipe makes a satisfying meal when served with rice (and, perhaps, a salad) or can be used as a supplemental side. 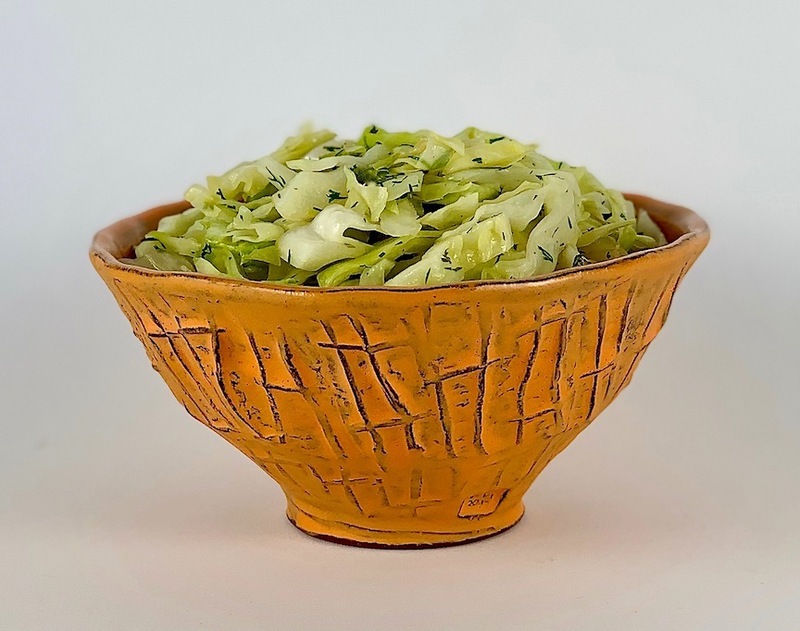 Cabbage is an inexpensive and nutritious winter vegetable that stores well for months in the refrigerator. 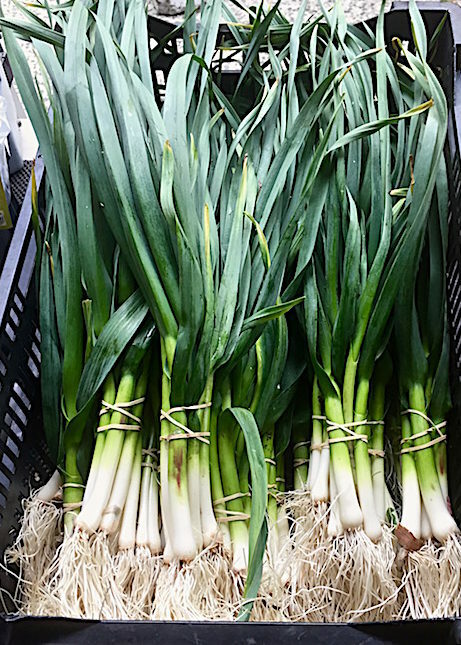 It is one of the few local green vegetables we can depend on being available through the fall and winter. Cabbage is known historically for having saved sailors on ships from scurvy because of its high vitamin C content. It is also easy to prepare various ways: fresh in a salad, salted and made into sauerkraut or cooked by steaming, boiling, baking or sautéing. If you don’t overcook it into a sulfurous mushy mass (overcooking is what gives it a bad reputation), cabbage can be quite delicate, savory or tangy, varied by seasoning. 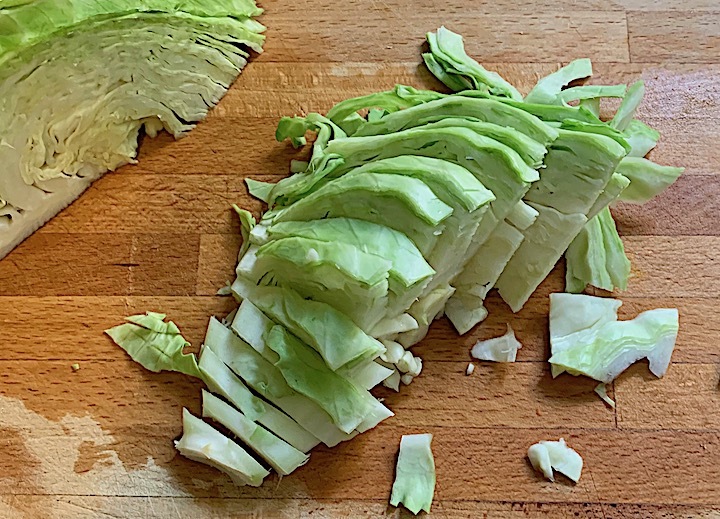 When used raw in a salad, it can be sweet and crunchy, depending on the individual cabbage, of course. 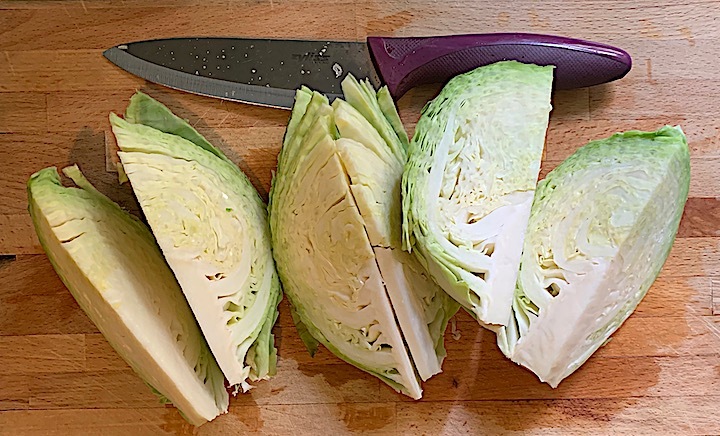 (When buying cabbage, search for a heavy, dense head with fresh looking, crisp outer leaves). 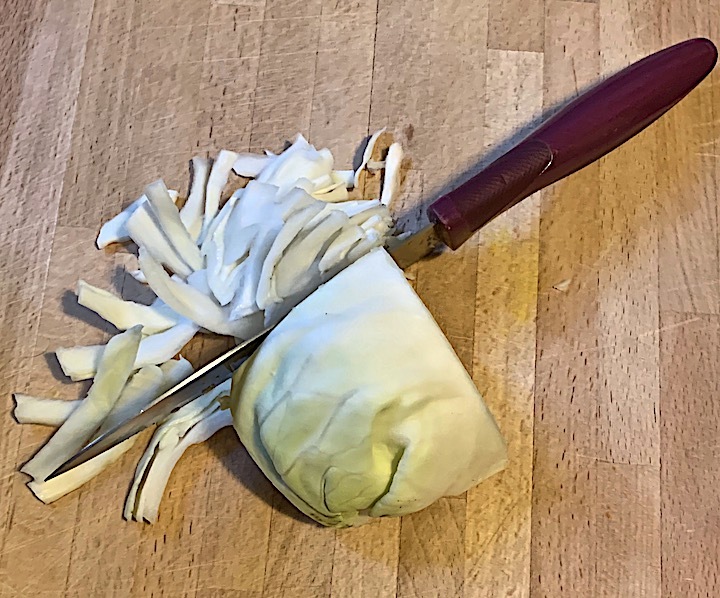 This curried cabbage recipe is from Yankee Magazine, a surprisingly good source of interesting, reliable recipes, alongside the small town stories, foliage reports and event listings. I tweaked it slightly, playing with the spices a little. If you want it spicier, add more mustard seeds and if you don’t like spicy, leave them out altogether. On the other hand, if you like your cabbage sweeter, add some raisins, currants or even dried cranberries toward the end of cooking. If you don’t like cashews, try almonds or walnuts. 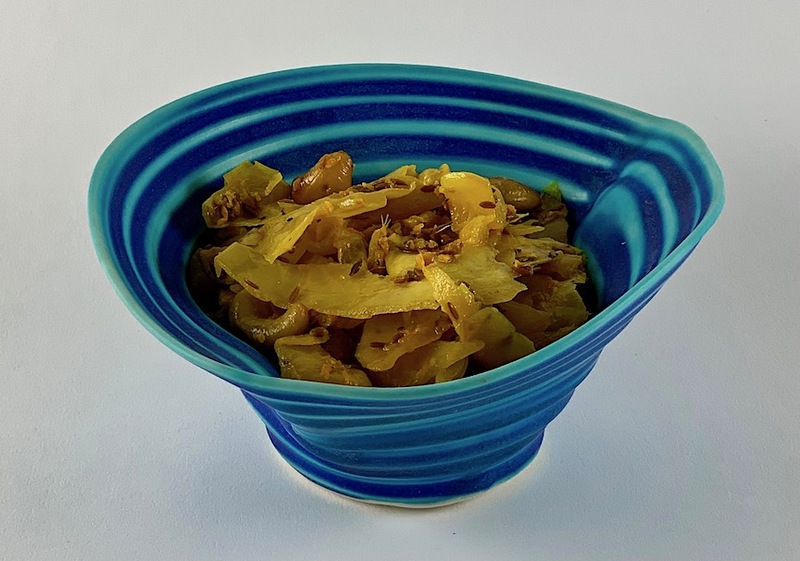 Whichever way you choose, this curried cabbage will be quick and tasty. Add cashews, ginger, cumin and mustard seeds. Cook, stirring often, until cashews are golden and all smells fragrant, about 2-3 minutes. Add cabbage and turmeric and cook, stirring often, until cabbage is just tender, about 8-10 minutes. Season with salt and pepper and top with fresh, chopped cilantro. Serves 4-6 and keeps up to 3 days in the fridge. Hot peppers are having a moment. 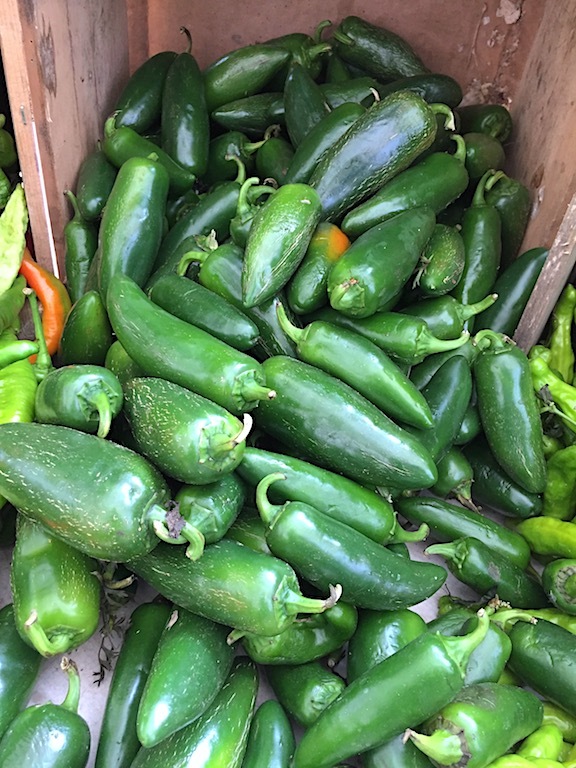 Among the overflowing bins at the farmers markets, you can find ripe Poblano, Cayenne, Serrano, Banana, Habanero and Jalapeno peppers. All these varieties may be used fresh, chopped into salsa or added to cooking foods for varying degrees of heat. Hot peppers will keep for some weeks refrigerated but to use them through the winter months, they need to be preserved. Small red chilis may be dried and crumbled or ground but Jalapeños, in my opinion, are best pickled. Pickling peppers is about the easiest type of cooking I know. You simply place the washed Jalapeños in clean glass jars, along with some carrot, onion, garlic and spices, pour a cold brine over them, close them tightly, and store in the fridge for a few months until pickled. You can slice and cook the peppers in a brine (also known as escabeche) and then jar them but since the cold brine, in essence, cooks the peppers for you, why bother? The only reason I can think of is if you need to eat the peppers right away. When you put them up in cold brine, you can taste them after a couple of months and see when you think they suit you. 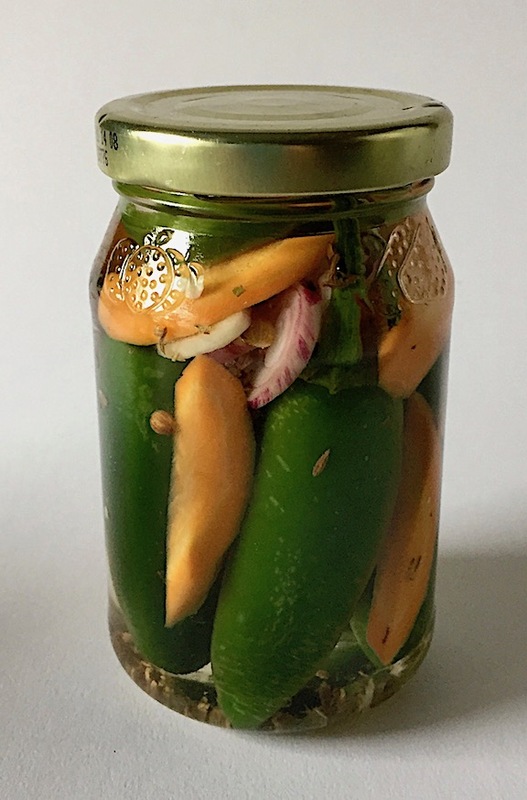 There are terrific canned Jalapeño pickles (La Morena is a brand I use when I don’t have any of my own put up) but they are so simple to make – give them a try. 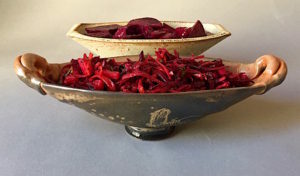 I first found this recipe in Padma Lakshmi’s wrenching memoir with recipes, Love, Loss and What We Ate: A Memoir and adapted it only slightly by adding sliced raw garlic and cumin seeds and adjusting amounts of seasoning to satify my palette. Vary the flavors based on your own preferences. If you hate coriander and cumin, use dill seeds and black pepper, for example. You don’t need special canning jars – any clean glass jar with a clean lid will do. I like to use jars of varying sizes both to accommodate the size of the peppers (small jars for small peppers, etc.) and to have some smaller jars to squeeze into the gaps in my already full refrigerator. I didn’t grow up eating spicy food but, living in New York, I have learned to enjoy it. If something savory tastes good, my husband and son think it will taste even better with hot sauce so I try to find ways to add heat. Jalapeños are on the milder side of hot on the Scoville scale, the standard measurement of capsaicin or spiciness. Pickling them adds complexity and allows us to use them all through the winter months. 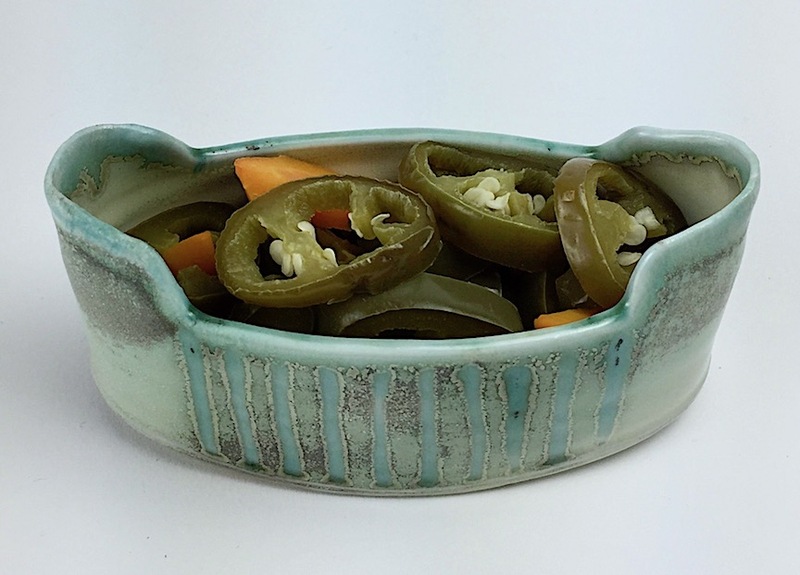 Pickled Jalapeños are delicious added to grain salads, omelets or frittatas or served alongside meat, fish and poultry. 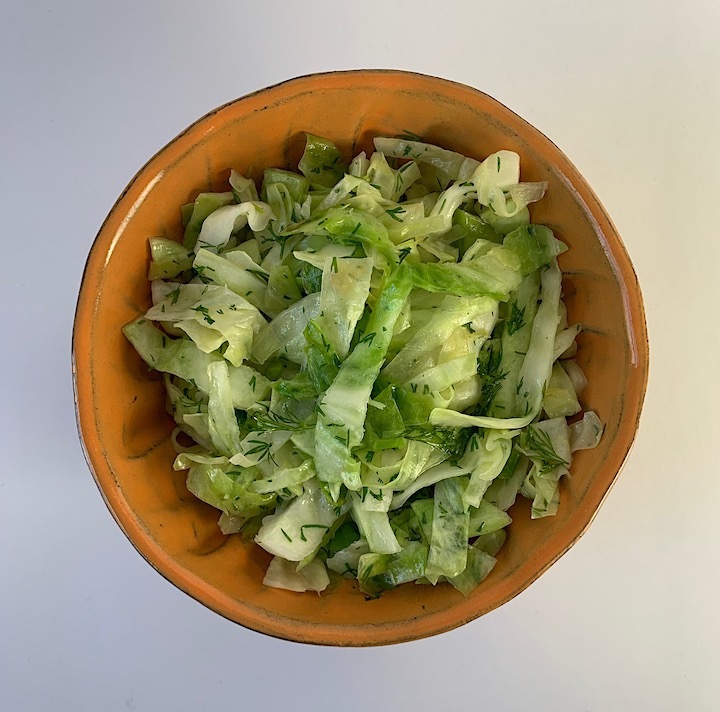 Some little slivers can really zip up a deviled egg, tuna salad or taco and the liquid can be used in a salad dressing or marinade to perk it up. If you make a few extra jars, you’ll be able to give them as gifts just when the weather gets colder and friends need a little pick-me-up. For the brine dissolve 1 teaspoon of kosher salt and 1/2 teaspoon of sugar in 2 1/4 cups of white vinegar. 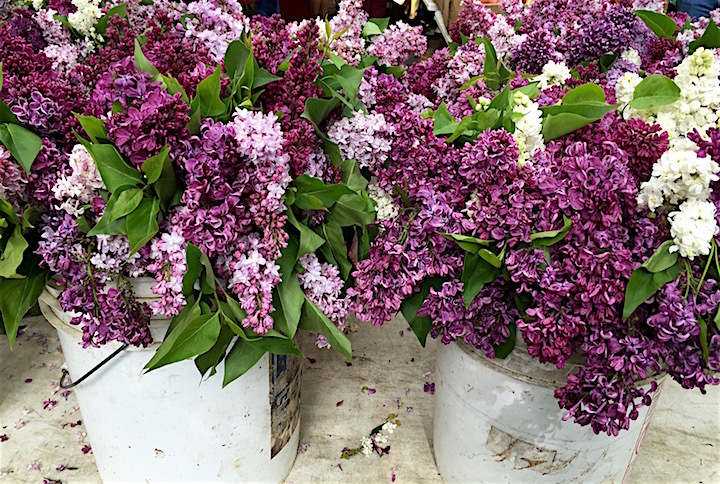 Memorial Day is the unofficial start of summer and with it comes the fresh fruit and vegetable season – finally! 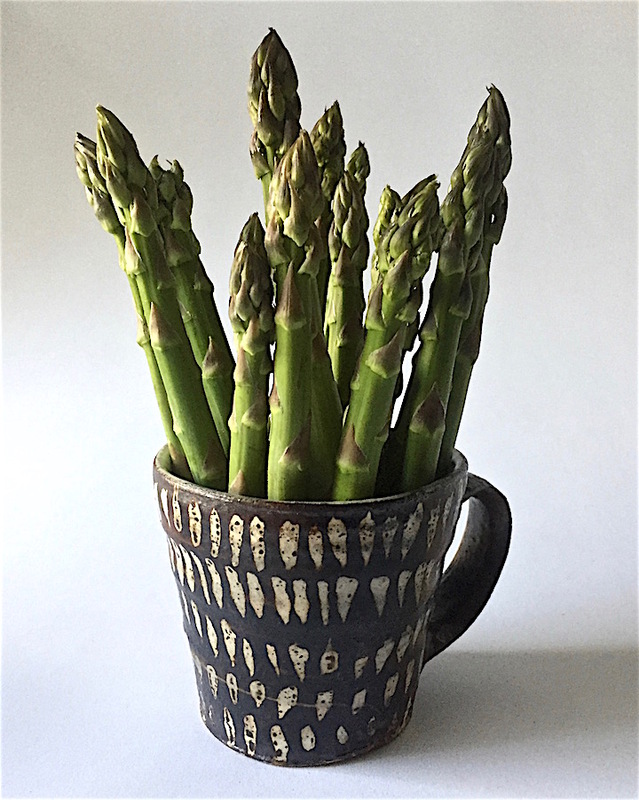 For those who have been scouring the markets for something green and fresh, local spring asparagus and strawberries are cause for celebration. 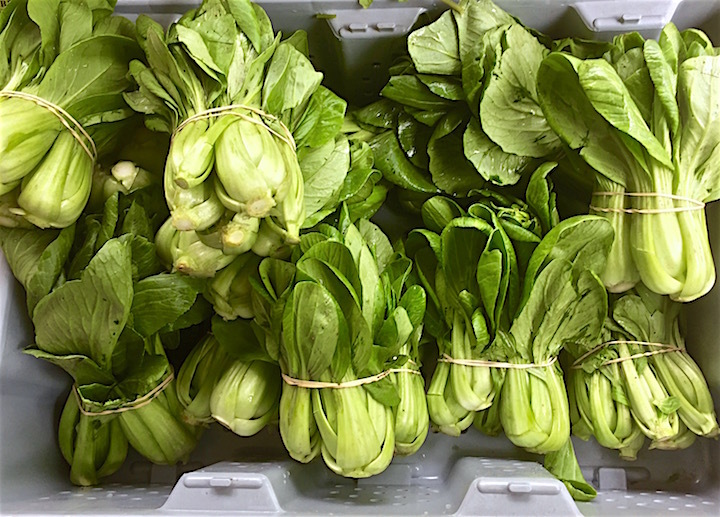 I was at our farmer’s market on Friday and there were fresh herbs, lettuces, Asian greens and green garlic alongside said asparagus and berries and much of it was organic. Buying organic vegetables is one easy action we can take toward healthier eating. There are reasons beyond health to buy organic. Every time you buy organic produce, especially local, you help keep family farms thriving, protect workers and water and keep deadly pesticides away from land, animals and people. Organic is more widely available than even a few years ago and, in many cases, not so expensive as it once was. Our neighborhood market carries organic produce at reasonable prices to say nothing of Costco and Amazon. But does all the produce we buy need to be organic? The Environmental Working Group, a nonprofit, nonpartisan organization acting to protect the environment and human health, publishes an online “Shopper’s Guide to Pesticides in Produce” which includes the “Dirty Dozen” and the “Clean 15” lists of the most and the least pesticide-laden fruits and vegetables. I rely on their research to know what I must buy organic and what I don’t have to and you can, too. The EWG’s lists are a big help toward understanding where we can be flexible in our shopping choices. According to them, we must choose organic strawberries, spinach and peaches but not necessarily avocados, onions or pineapple. Go to their website (I’ve linked to them above), print them out and put them near where you make your grocery list. Their recommendations will make your fruit and vegetable shopping much easier. 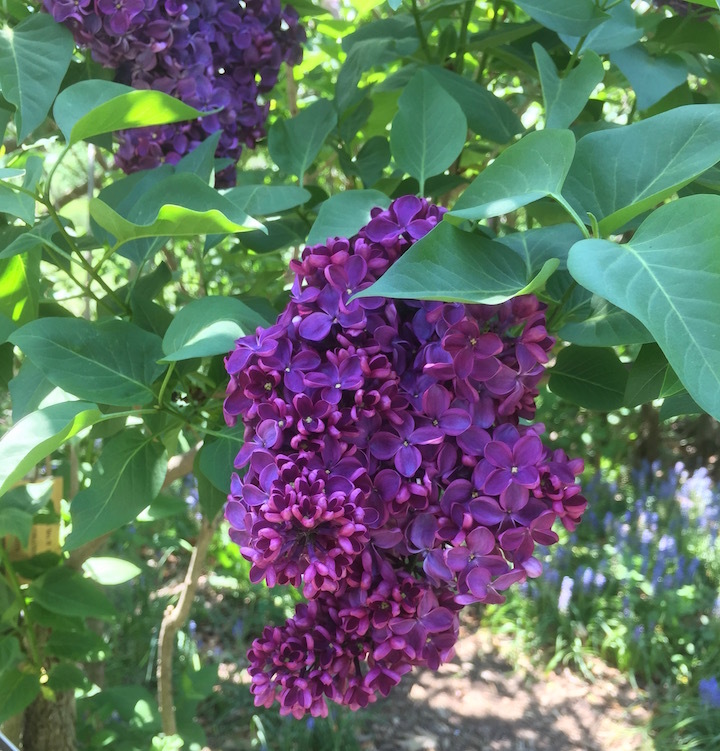 Lilacs blooming in Central Park – warm days are here! Local asparagus is coming. So are ramps, fiddleheads and green garlic. But until they get here, we still need vegetables to eat. 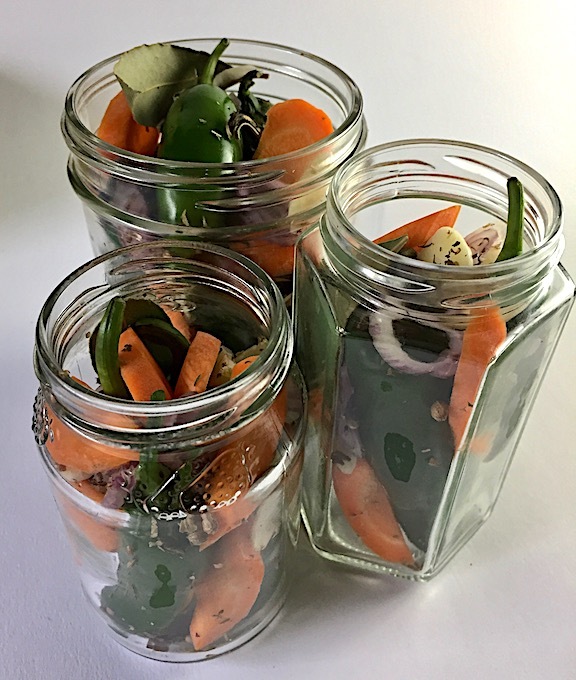 I am cleaning out my fridge and freezer this spring, trying to use up the jarred, frozen and preserved fruits and vegetables I stocked it with last fall. And then there are the roots. 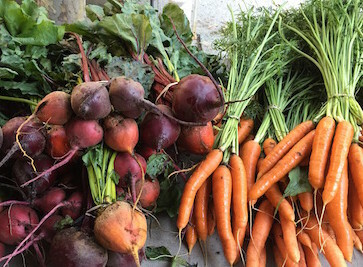 Beets, watermelon radishes, carrots, parsnips, rutabagas and celery root are still available at our local markets as are potatoes and sweet potatoes. While the weather is still cool enough, and before the local greens arrive, I will continue to roast, steam, mash and sauté them, as suitable, and add them to soups. 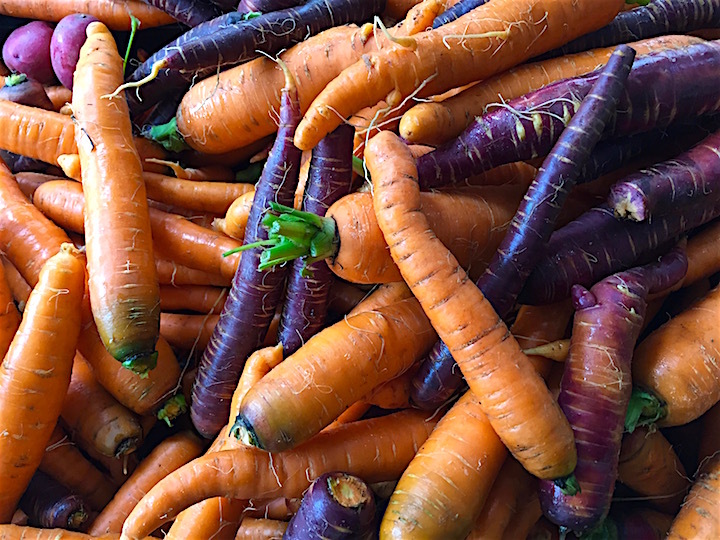 Root vegetables are quite nutritious, if grown in good soil, and usually quite inexpensive. 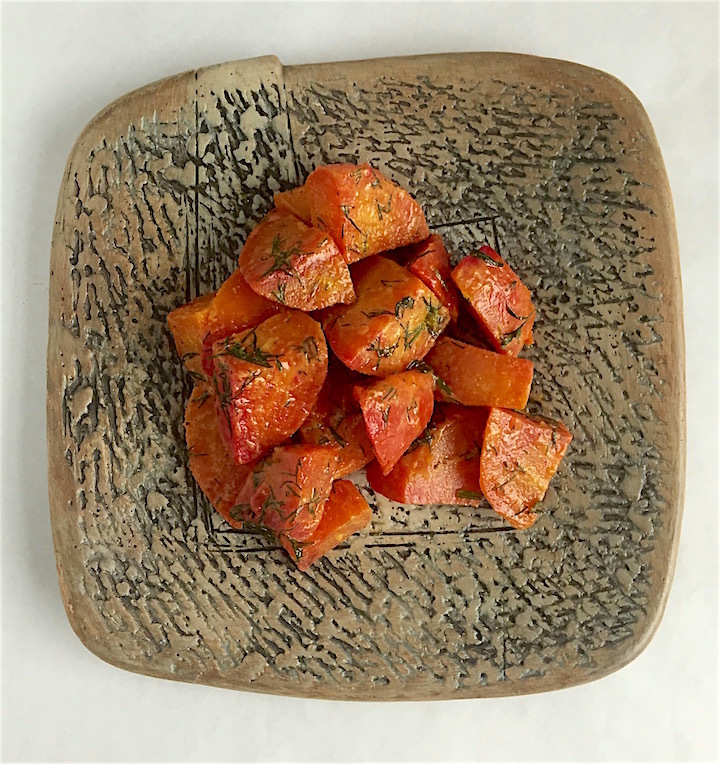 If you browse social media, shots of root vegetable roasts seem to be trending. Perhaps roots are the new kale. 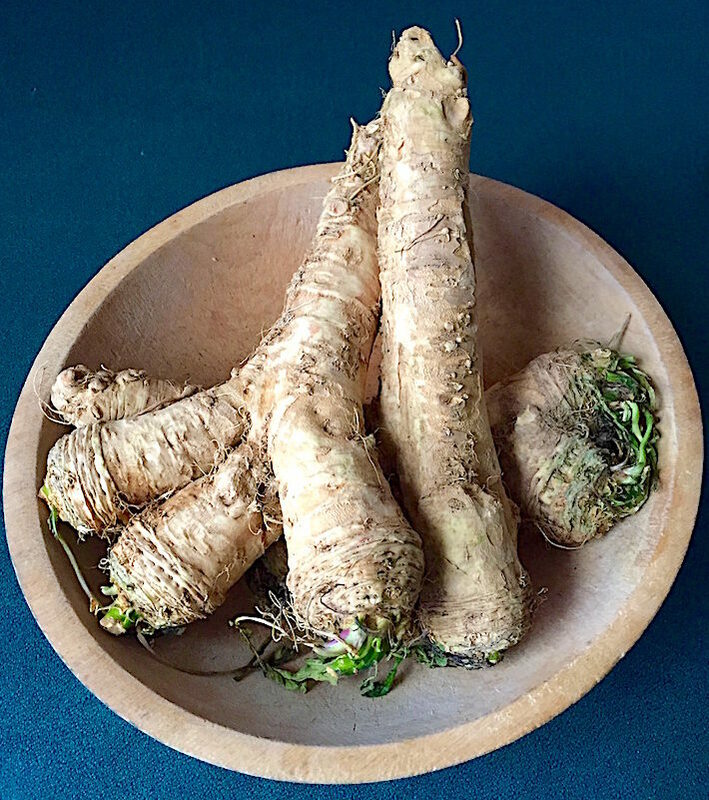 Don’t forget horseradish is a root, is available right now and preparing it couldn’t be much easier (see recipe). 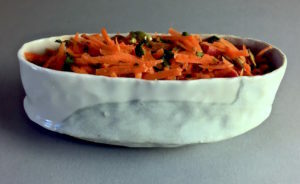 Remember that roots also make wonderful salads which even improve after sitting in the refrigerator overnight. 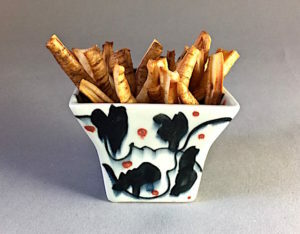 I have linked below to several past posts that included root recipes. 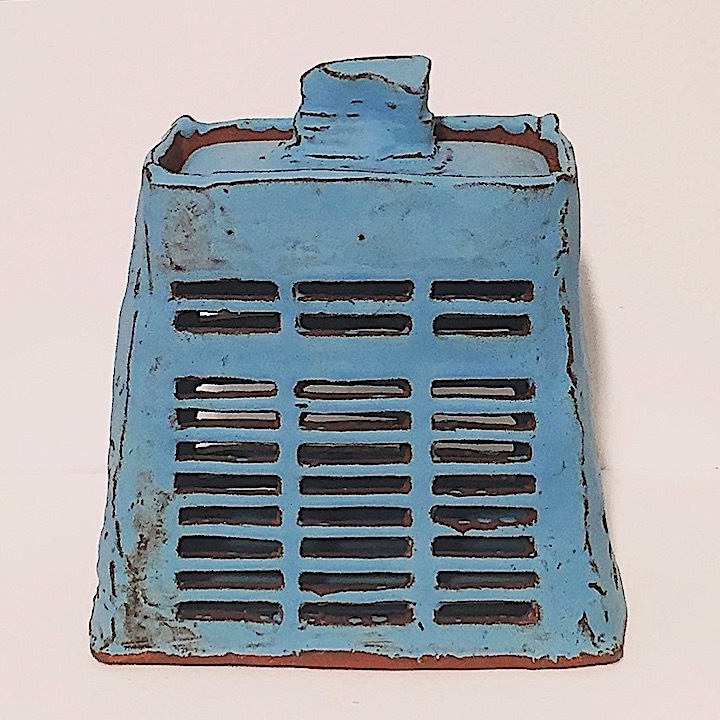 I keep linking to them in the hope that they will help you use up the contents of your crisper or give you some inspiration when you go to the market. Local greens will be here soon. But until then, don’t forget your roots!